Forketor Plus 1.2mg/2.5mg are a dual formulation used to treat congestive heart failure in dogs. 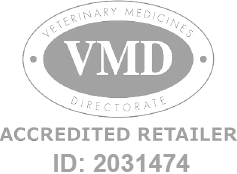 Fortekor Plus For Dogs - 1.2mg/2.5mg is a Prescription Only Veterinary Medicine and by law requires a prescription from your vet. Fortekor Plus 1.2mg/2.5mg for Dogs is an innovative new dual formulation used to treat congestive heart failure in dogs. Congestive heart failure is a condition where the heart cannot pump enough blood around the body. This can lead to exercise intolerance (inability to carry out physical activity), difficulty breathing and fluid retention. Fortekor Plus contains two active substances and is only for use in dogs whose heart failure is already being controlled by the same doses of pimobendan and benazepril hydrochloride given as separate medicines. Forketor Plus us manufactured by Elanco and is developed specifically for dogs. As such, they must never be used in other animals.